In the outskirt of Osnabrück, Germany, a farm is rising with the organisation and the implementation of a sustainable economic model. The project is led by Julia and Tobias Hartkemeyer and encouraged by the participation of their family, friends and the rest of the local community: The CSA Hof Pente. Tobias has been working on the idea for 6 years. His goal is to reshape social interactions in learning environments and to offer the chance of experiencing, perceiving and re-creating nature as an ecological system. CSA (Community Supported Agriculture) is an opportunity for a complete transformation of economic, social and communicative relations that encourage a holistic concept of agriculture and farming. In a CSA the community is directly connected to the farm by labor, money or food. As apposed to a traditional farm, a CSA offers a connection between the community and a farm. A CSA serves as a meeting point, cultural and social development spot, a place to experience nature and it helps the community understand the impact and consequences of their daily food decisions. The concept of CSA means that products are not conventionally sold on the market, but flow into a transparent economic cycle. The entire cycle is financed and organised by the participants and members of the CSA. The members pay a monthly membership fee and have the opportunity to come to the farm once a week to collect their share of the weekly harvest. The amount of the fee is left to the members' discretion. Member’s consideration is: „What am I eager to pay for the farm to operate?” Instead of “How much will I pay for the food I will receive?”. By changing the concept of price by kilogram into a fictitious and abstract concept, price is not the main trigger for decision-making any longer. The focus becomes the effort for wholeness and the preservation of diversity, fostering the farm into a holistic view. Agriculture seen as a whole systemic system, in stead of individual parts. All products that have been harvested or slaughtered that week are given in equal amounts depending on the size of each family. This way the customers can directly experience how their decision on food creates the cultural landscape and enables diversity of species. Besides the benefit received by the food share, the members have the opportunity to contribute and get involved with practical work: taking care of the soil, plants and animals. The whole farm serves as environment of diversity and learning; connecting generations embedded in the local and social context. Environmental learning is real, direct and practical. Generative dialogues, community participation, education and rise of awareness of related topics make the farm the first step to a simple community based on trust. It enables a community that creates a more resilient and healthy agricultural system. The Entrepreneurship’s ecosystem in Egypt has been relentlessly developed since 2011 by many key players who have shaped the community with their contributions is many ways: by founding companies & initiatives, write entrepreneurship articles & reports or teaching entrepreneurship in the university. Everyone’s effort and contributions matter. Dr. Hala Hattab is Associate Entrepreneurship Professor at The British University in Egypt (BUE). Dr. Hattab started her career as Business Development Officer in an engineering consultancy company based in Jordan until she became Business Development Manager. Since 2008, Dr. Hattab teaches entrepreneurship at the BUE and has published many entrepreneurship articles and reports in international journals. Her publications have greatly supported the Egyptian entrepreneurship ecosystem to flourish by educating those who are part of this ecosystem and want to build and sustain this dynamic community. Dr. Hattab has been invited as judge in many international entrepreneurship competitions in different countries in MENA (Middle East and North Africa) Region, such as . Mashrou3 (means project), MIT Arab competition, Hult Prize, Enjaz and Start with Google competition. The BUE is the first university in Egypt that teaches entrepreneurship in bachelor and master’s degrees. Dr. Hattab was the first Associate Professor when the department was launched. She is teaching several topics including entrepreneurship culture, entrepreneurial mindset and entrepreneurial organization. Dr. Hattab used to consult and mentor entrepreneurs in different stages (ideas, startups and SMEs). She is very proud that she supported seven entrepreneurs who are currently leading fast growing well branded companies in different industries in Egypt. Dr. Hattab also co-founded Startology, which is a social enterprise that enables the Egyptian youth to start up and sustain their businesses. It offers mentor-ship and training on business modeling, marketing, customer discovery and finance. Dr. Hattab is not part of the team anymore, but she launched the enterprise with the team and supported them for a while. Dr. Hattab was supporting a group of authors to write and publish one of the best entrepreneurship book named “Entrepreneurship in Egypt: from Evolution to Revolution” that describes the entrepreneurship ecosystem in Egypt and the entrepreneurs’ current challenges and shares some practical solutions for Egyptian entrepreneurs to grow and expand their businesses. The book includes some interviews with investors and entrepreneurs who shared their thoughts about the entrepreneurship ecosystem in Egypt. Dr. Hattab co-authored in the first edition of the book. Ithink it’s fair to say that chocolate, together with other cocoa made products, exist thanks to Africa. Almost 70 percent of the world’s cocoa is indeed produced by West African states, such as Ivory Coast, Ghana and Cameroon. However, the 110 billion dollar chocolate industry is dominated by western companies. You may wonder why the situation is like that. The answer is simple: almost all of the cocoa that is produced in the African continent is exported abroad as raw material for the production of chocolate; and only a small percentage is used by few local African chocolatiers. On top of that, these chocolatiers face one major challenge: the high costs of import of key ingredients such as milk powder and sugar, needed to make chocolate. Now, one company in Tanzania is trying to change the status quo by playing its own game: producing the country’s first and only local chocolate. Yes! 100 percent African-made, meaning everything in the production chain is locally sourced. In 2012, Jaki Kweka, a former lawyer launched Chocolate Mamas. This company doesn’t just make organic chocolate, it produces it in a sustainable way. Interviewed by Lionesses of Africa, an online community of women entrepreneurs Jaki Kweka said "We looked at the challenge of getting a constant, reliable supply of high quality chocolate in the country. We realised that this was a gap in the market that could be filled and our entrepreneurial journey started there - we decided to start making our own chocolate." So, what makes Chocolate Mamas organic? Well, imagine eating chocolate which is free of mixed vegetable oil, emulsifiers, preservatives, lecithin and gluten. With Chocolate Mamas' products you would be doing just that. According to the company’s website, cacao beans are stored, roasted and winnowed on site together with other ingredients, such as sugar and cocoa butter being produced in-house or sourced locally. Nothing is imported and no chemical ingredients are added which reduces any health concerns. Had you ever asked yourself what material is used to wrap your chocolate bars? If you happen to taste Chocolate Mamas, it is worth to know that its packaging paper is made out of maize husks, a locally available material which is generally considered as waste. This makes the chocolate mamas production also environmental friendly. Now, this is the best part: it looks like Chocolate Mamas is also backing up Goal 8 (Decent Work and Economic Growth), one of the 17 Sustainable Development Goals. Indeed, Chocolate Mama's packagings is designed and crafted by a local NGO giving people with disabilities an employment opportunity, hence improving their lives. Creating sustainable civil society requires empowering social entrepreneurs and change-makers who are capable of initiating sustainable solutions towards their communities’ challenges, and who are willing to work with other community partners towards having a positive social impact. Ayman Shehata is a remarkable community leader and well known in the field of sustainable development, he worked as a practitioner, researcher, strategy and business development advisor for national and international development agencies and research and academic institutions in the socioeconomic development, sustainability, citizenship education and youth empowerment fields. Ayman got his Bachelor degree in Economics and his post graduate study in Feasibility Studies and Project Evaluation from Faculty of Economics and Political Sciences, Cairo University. He continued his post graduate studies for a Masters in Economics in International Development at the American University in Cairo. Ayman worked as consultant for many local and international NGOs to guide them how to use philanthropy for developmental impact, and he worked as teacher assistant to teach undergraduates Economic Development at AUC. Ayman has Co-founded Namaa Sustainable Development school in 2005, Namaa is a social enterprise that aims to teach and cultivate skills needed to advance Egypt’s civil society through an interactive curriculum that depends on lectures, workshops, case studies, field visits and the knowledge and experiences that the entrepreneurs bring to the table. 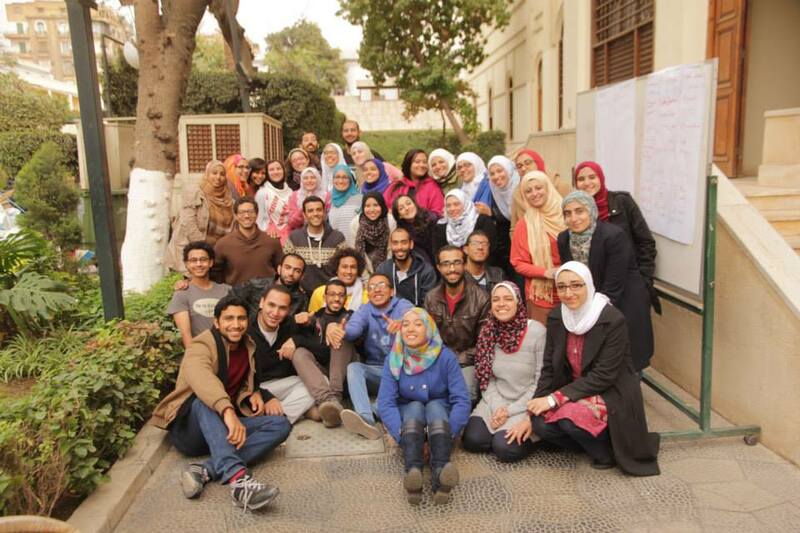 The school is three weeks every year for 30 entrepreneurs who are coming from all over Egypt with a vision to make change in their communities and create sustainable solutions to the current challenges that their communities are facing. Namaa is incubated by Nahdet Elmahrousa which is an NGO that supports early stage social enterprises in the Middle East and the region through incubation and entrepreneurship programs. Namaa is also academically supervised by the Faculty of Economics and Political Science represented by the prominent scholar Dr. Heba Raouf. In 2008, Ayman has co-founded Sanad, which means support in English. It is a social enterprise that is hosted by Mesha, to provide high level assessment and direction for entrepreneurs who just started their social enterprises, as well as providing networking opportunities, and regular consultations in three main lines business development, strategy and theory of change. Ayman has special interest in Educational Reform and accordingly he co-founded Afaq initiative in 2009 to search for alternative ways of envisioning and practicing education. Ayman is currently working as CSR (Corporate Social Responsibility) strategy Manager at PWC (PriceWaterHouseCoopers) Egypt where he tries to extend the principles of Strategic Philanthropy, Responsible Business and Social Intrapreneurship into the private sector. Rapid product consumption is one of the main drivers of our current economy. People are often led to see consumption as the only tool to keep or increase the current wealth level. However, today’s hyper-connected world is leading the economy of the twenty-first century to change: the consumerist society with ownership at its core is starting to reshape itself into a world-wide collaborative consumption society. This business model generates long-term income from each item, rather than one-time earnings that rely upon frequent sales. It proves more sustainability than over-consumption built on debt and marketing hype. The raise of this new economy movement is enhanced by several factors, mainly the abundance of assets along with the high-tech consumer platforms. Furthermore, the digitalisation of products, a close-knit media and the economic downturn of 2008 caused many of us to reconsider our attitudes toward acquisition and ownership. Rachel Botsman, a global thought leader on the Sharing Economy, founder of Collaborative Lab and author of What’s Mine Is Yours, defined Collaborative Consumption as “the rapid explosion in swapping, sharing, bartering, trading and renting being reinvented through the latest technologies and peer-to-peer marketplaces in ways on a scale never possible before”. Furthermore, Botsman argues that people use technology to form online peer communities to realise the benefits of access to products and services over ownership. By doing so, on the one hand they are saving resources such as money, space or time. Additionally, offline communities grow and a peer-to-peer trust is built. The Collaborative Consumption movement is part of what is known as Sharing Economy. It operates outside of conventional capitalism by splitting the production cycle in order to share the tasks whether the creation, the production, the distribution or the consumption of goods and services by different organisations. Governments and businesses are embracing this economy model in order to revolutionise society. Thereby almost every sector is positively affected, such as, transportation (DriveNow, Car2go, Carsharing) travel (AirBnB, Lyft), fashion and food (GirlMeetsDress, FoodSharing), social to peer lending (Zopa, Prosper). But also non sectorial forms like collaborative inventing (Quirky), skills and knowledge sharing (TaskRabbit, Zaarly, Quora), just to name some. The new form of “sharing” has allowed people to see where resources can be found and used for a time, such as a place to stay, a car to share, an aspiring chef, inexpensive office space or executive assistance. All this is happening on a scale like never before, sometimes expanding the potential of sharing beyond local networks. By bringing underutilised resources online and connecting it to demand, these Collaborative Consumption businesses have experienced an enormous growth. In October 2015, Forbes Magazine released an article in which the projection of the Sharing Economy is to grow up to US$335 billion globally by 2025. Besides the reinforcement of the economy, the notorious expansion of Collaborative Consumption tends to generates positive social impact in local communities and reduce the environmental impact, for example through a shift to business models that deliver services rather than products, the reduction of overproduction and the decrease of natural resources exploitation. There is some evidence that millennials (the generation born between the 80’s and 90’s) are adopting sharing behaviours that offer a broader chance to reinvent economic models and thus to reshape our identities moving away from forms of identity that rely on possessions and consumption, and towards those which are based in relationships and experiences. In contrast to over-consumption it also fosters values-related benefits, such as building communities and solidarity. According to the University of Pennsylvania’s Wharton School of Business, institutions are raising sustainability by utilising their own form of Collaborative Consumption. Many Internet companies share the same computer servers, for example. Such practices even benefit competitors; it’s not uncommon for the same air plane to carry packages for both FedEx and the U.S. Postal Service. Other advantages of the concept are the reduction of costs for the renter or borrower and the help to the owner of an item for the cost of its maintenance. Fewer people must assume the burden of individually paying for, maintaining and storing a possession. Like in the case of the German online platform, FoodSharing, which allows individuals, retailers, farmers or restaurants to share food they are not going to use before it becomes damaged. People can find near food and pick it up quickly when needed. FoodSharing contributes to the reduction of food waste. By now they have saved more than 3300 Tons of food in Germany that in other cases would be thrown away. The change of user behaviour and the values that drive their actions impact heavily on the environment. Another great sector of Collaborative Consumption is the so-called shared mobility. As cities continue to grow in population and land use, an increasing pressure is being placed on the reliability of urban transportation systems. Traditional transportation public policy focused on “minimising congestion” and commute times. Minimising commute time for people in single occupancy vehicles only exacerbates the use of private vehicles and the need for parking and street maintenance that besides creates an unsustainable situation due to the expensive cost of buying and owning cars and the high cost of their production and maintenance. Recently, responding to these global problematic, numerous shared mobility services have emerged to address the gap in the supply and demand for sustainable mobility in cities. Recent enhancements due to improved information and communication technologies have made these shared mobility business models possible on a bigger scale. For instance, first-generation bike-sharing models emerged in the 1960s in Amsterdam and as of December 2013, there were nearly 700 programs in cities around the globe, most of them aided by significant advances in bikesharing technology. Carsharing has also been expanding at an exponential rate. At the start of 2013, there were approximately 2.3 million members in carsharing programs globally and Navigant research estimates that this number will climb to as many as 12 million by 2020. The impact of this consumer behavior is massive. Each shared car eliminates 5 to 20 cars from circulation. DriveNow is a clear visible evidence of the carsharing model in action to improve city mobility and arise of the promotion of locally emission-free mobility in urban areas. It operates a freely floating car sharing service. The cars are to be picked up and dropped anywhere in the city. The service is a joint venture between BMW and the car rental company Sixt. The pilot project took off in 2009 in Munich, Germany, and was incorporated in 2011-2012. DriveNow has now about 3,000 cars. It is active in San Francisco, London, Vienna and some German cities, including Berlin and Munich. It is not the largest car-sharing service, but it is maybe one that has the strongest development. Norbert Reithofer (the former CEO of BMW) was announcing in March an expansion program for 10 cities in US and 15 in Europe. According to BMW company surveys, 38 percent of DriveNow customers have sold a personal vehicle as a result of using the car-sharing scheme. The Collaborative Consumption is also a crucial agent for social innovation. Sharing (rather than owning) assets is more community-oriented. The Sharing Economy addresses a range of social problems, including isolation, over-consumption, and economic scarcity in new ways. Moreover helps individuals meet their needs and expand their universe of opportunities, it also builds social capital—the connections within a community that help boost resilience and bring people back into relationship with one another. Like these, many companies exist in different fields, even a new concept of use of space emerged in Australia. The platform Spacer 1 allows people to offer their own available space like a spare driveway, garage, attic/bedroom or backyard to other people to store large items like cars, boats, caravans or furniture. This service is attempting to disrupt the self-storage market, valued at AU$750 million in Australia. These are just few of the vast variety of cases where Collaborative Consumption reshapes markets in various sectors of the economy by changing supply and demand economics. These new market places shrink consumer retail demand. The public perception of shared goods has changed substantially in the past few years. The Sharing Economy is growing at an impressive rate across the globe. Increasingly cities are seeking to become smarter through the use of new information and communication technologies, causing cities to rely even more on public–private collaborations to implement a wide array of technology solutions. The notion of sharing transportation, space, finance, consumer goods, personal and professional services on an on-demand basis creates a large opportunity in the context of cities that struggle with population growth, increasing density and over-consumption of goods. 1 Spacer is an online marketplace for space, connecting people with extra space (Hosts) with those looking for storage space (Renters). Spacer utilises and shares local resources to meet a need in the community. In conclusion, the Collaborative Consumption may be the next stage in the evolution of fundamentally restructuring how economies work. Sharing business models have emerged in key sectors of the economy, including goods, professional services, transportation, space, and money. The Collaborative Consumption has the potential to move the needle in assisting a radial shift in global and local economies toward sustainability. The potential benefits associated with such sharing economies are interesting from a social, organisational and environmental perspective achieving a sustainable model for future development. Collaborative Consumption is increasing the usage of the main functionality of products: buildings are there to be occupied not to be empty, cars are there to drive not to stand in parking lots, and food is there to be eaten not to be thrown away. This model is achieving the reduction of social problems, over-consumption, misuse of resources, and the most important, is raising awareness in impact and importance of consumer’s behaviour. The Co-working spaces trend heavily spreads in the last four years after the Arab spring in 2011. Egypt is one of the Middle Eastern countries with the highest numbers of the co-working spaces that offer services and training to entrepreneurs. Co-working spaces help to spread the entrepreneurship culture, and they support the entrepreneurship ecosystem by creating an environment where the entrepreneurs can find experts and join different entrepreneurship trainings and programs. These enrich their skills and knowledge about the field, as well as support their initiatives and/or organizations to become sustainable. Entrepreneurship flourished in MENA (Middle East and North Africa) region after the Arab spring in 2011. With the support of the international donors, each of the Arabian countries succeeded to build a sustainable entrepreneurship ecosystem, which has a variety of main actors; incubators, accelerators, venture capitals and angel investors, who invested in social businesses or ventures that have potential to grow into sustainable organizations or companies. Jordan is one of the Arabian countries that succeeded to create a sustainable entrepreneurship ecosystem even before the Arab spring. Fida Abu Turkey is a Palestine woman, who succeeded to support 100 underprivileged women to start their businesses when she was only 18 years old. She started three different organizations when she was studying arts at Al Quds Open University and she is considered as one of the most influential civil society activist in Palestine. It’s the time now to be creative in finding new sustainable solutions for social problems that have been existing for years, poverty is one of them. Jihad Shojaeha is a social entrepreneur originally from Palestine who founded Esnad (English: support) in 2006. Esnad is a NGO that fights poverty through education. It is supporting underprivileged high school students to join universities in Palestine by paying the universities tuitions fees for them during the 4 or / and 5 years of the their study period, and ongoing they provide them with career development trainings and coaching. So, they can work and support their families right after graduation. In return these university students offer part of their time to school students and teach them classes in Science, Math and English. Food is a core of humankind. We gather around food, celebrate and please ourselves with it, but most of all; we survive thanks to what we eat. Nowadays most of us don’t need to hunt or grow our own food anymore. Modern society facilitates everything. The supermarket shelves are filled with food and consumers just need to pass by, grab, open and consume it. The tourism industry in Egypt dropped down after the Egyptian revolution in 2011, 30% of the tourism revenue has decreased because of the country's political and economic instability. However, an Egyptian civil engineer Ahmed Zakariya believed that domestic trips could be the quick solution to the current problem and that it will somehow bring sustainability to the tourism industry. Ahmed managed to start an initiative called Ana Awla Behalwtha (in English: I deserve its beauty) that helps youth to discover their own country and increase their loyalty by organizing domestic trips to all the touristic sights in Egypt. Ahmed, together with his team managed to organize more than 100 trips with more than 20,000 young Egyptians in less than three years. They work with volunteers and their revenues are reinvested in their organization to ensure sustainability. In August last year the Transboundary Haze Pollution Act (TAPA) was passed in Singapore. Since the enactment, it has given the government more strength in fighting against errant firms that operate overseas. Their reckless practices, such as burning plantations, have brought about prolonged haze. This has led to negative consequences for Singaporeans regarding economy and health. Users as Innovators and Entrepreneurs in the context of sustainable development: Change agents for industry transformation towards sustainability. Today’s main market goals can be described by one simple word: growth. Each industry seeks to grow weather in market share, product demand, company’s profit, sales rate and so on. Nowadays a business year, with stable and constant numbers instead of increasing numbers is seen as a failed year. The Colombian Juan Nicolas Suarez and his talented team at Diseclar innovated with a manufacturing process that turns non-degradable plastics and vegetable fibers from agro-industrial waste sites into incredible stylish furniture. Always wanted to influence decision making in one of the largest firms in the world? Become a shareholder with a vision for Shell! Anyone with an iDEAL or PayPal account is only one easy click away from membership of this unique movement in Amsterdam, also known as 'Change the world: buy Shell'.